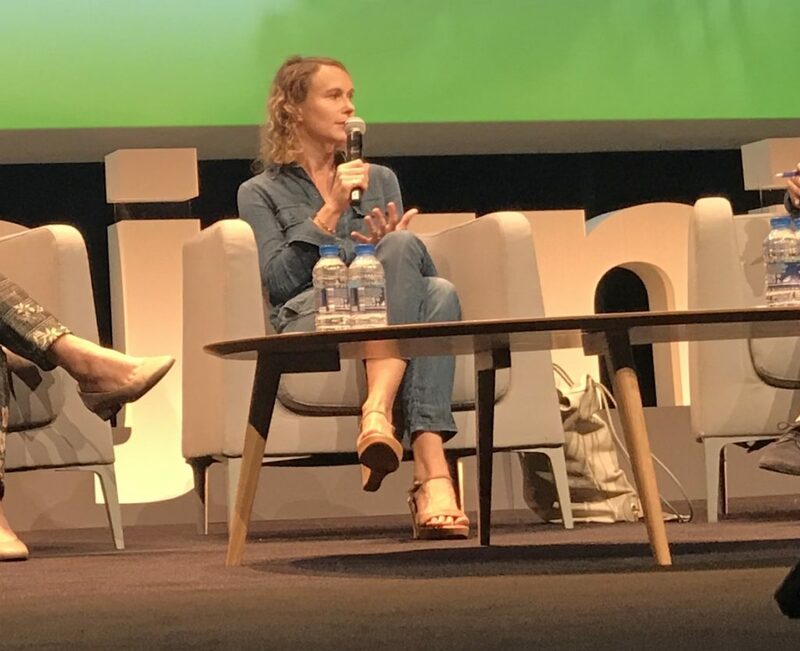 This year’s trends in children’s entertainment were under the microscope as MIPJunior’s 25th anniversary edition got underway today, including a panel where four programming experts gave their perspectives on the defining content of 2017. The panel included Michael Carrington, head of children’s and education at ABC-TV in Australia; Patricia Hidalgo, chief content and creative officer EMEA and international kids strategy at Turner; Paula Taborda dos Guaranys, head of content and programming at Gloob; and Janine Weigold, head of children’s content at Super RTL. The moderator was Anna Cargugati-Guise, group editorial director at World Screen. Carrington kicked off with his views on public-service broadcasting in 2017. “The role of a public service broadcaster hasn’t really changed. We’ve always wanted to reflect and engage our audience from a local perspective, but then to give them a window on the world,” he said. Hidalgo talked about the differences in the audience across the world for these shows. “Children are much more similar in different cultures than adults are, and this is even more true the younger they are,” she said. 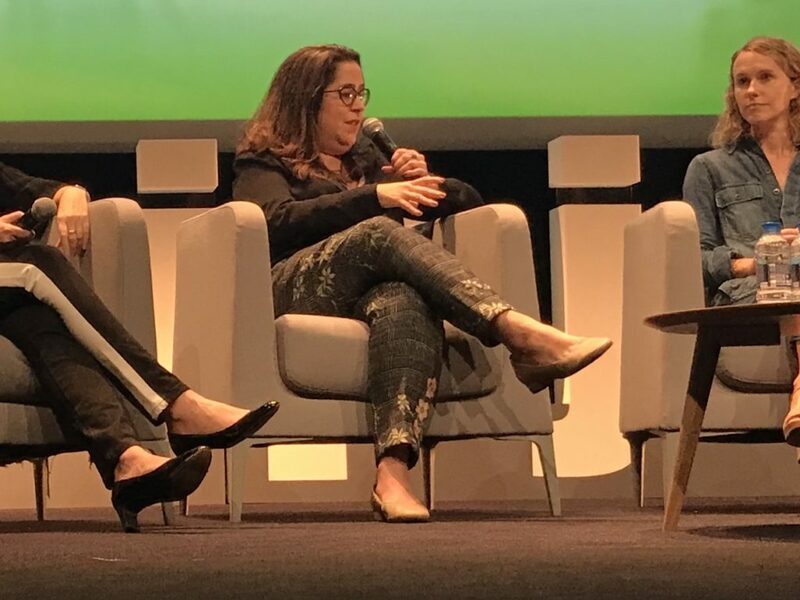 Guaranys talked about Gloob’s plans to launch a new pre-school channel this month, while Weigold said that Super RTL has benefited from the loyalty of its audience over the last 25 years, before the conversation turned to diversity. 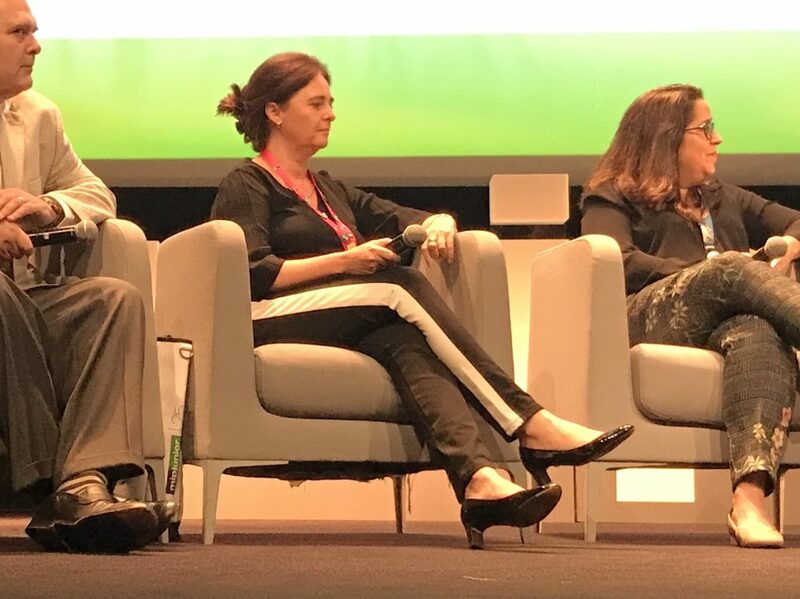 Guaranys talked about how Gloob, as part of Globo TV, tries to preserve a Brazilian DNA in its shows, while working with international coproduction partners. Weigold addressed Super RTL’s strategy between its linear channel and its online streaming service Kividoo. Guaranys: “What we want is the next hit! Which is very hard to find. There’s no formula,” she said. “Actually the stories need to be character-driven, and we need to engage children which is important. And we are doing the original content: that’s the main goal.” Gloob commissions around 50% of its output, and licenses in the other half. “You look for great characters and inspiring stories… and content that can live on other platforms,” said Weigold. She added that Super RTL likes to get involved in new projects “very early” with pre-sales a key focus for the broadcaster. Carrington said that Australia is “flooded by the usual suspects: friends but also competitors” which means children expect similar quality from ABC-TV’s original shows. “We are looking for that edge that brings that distinctive high-quality, engaging, visual material as well,” he said. “It’s important to find the right partner. It’s no use going into cooperation with a partner that doesn’t have similar values to yours. Because then you’re going to be fighting all the time, and the series will suffer,” added Hidalgo, as the panel focused on coproduction decisions. 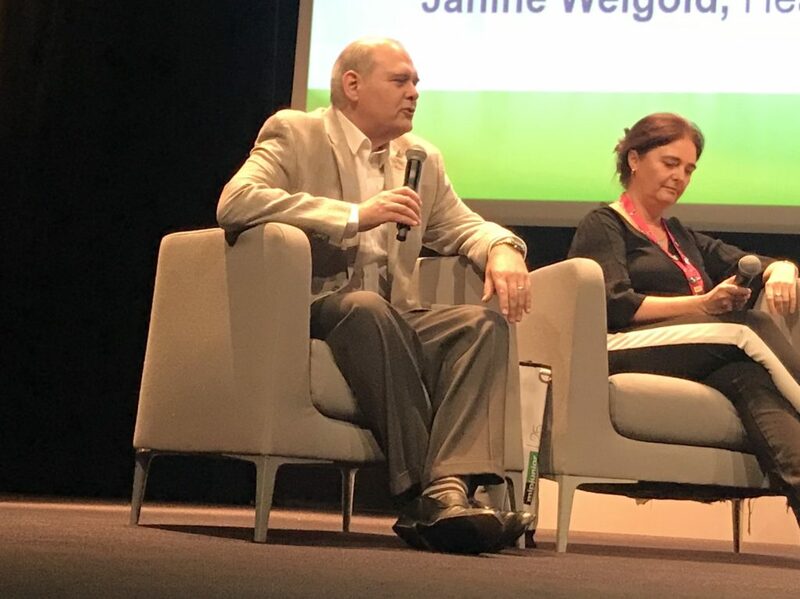 Weigold talked about children’s changing viewing habits and what that means for broadcasters: particularly as those habits can change quickly. “Children are still watching YouTube, but there’s no doubt that they are moving to a video-on-demand scenario,” agreed Carrington, who warned the industry off making assumptions about what kind of content will benefit. “You don’t really have to think about short-form any more. You like to offer short-form, but there’s no doubt that you can do series work: longer-running programmes,” he said, noting that assumptions that children only have a two-minute attention span for online video are now outdated. What impact are Netflix, Amazon and YouTube having on these broadcasters, with their increasing focus on children’s shows and videos? The panel were diplomatic rather than overly defensive. ”There’s no doubt that they’re seen by a growing number of people, particularly over the last year or so Netflix has had a huge uptake in Australia,” admitted Carrington. “They offer the content that they offer, but they’re not offering specifically Australian content… We’re driving the audiences with original production. But they’re also our friends: we work with them as well.” He cited the example of Legend of the Monkey, a show that ABC-TV is working on with Netflix. Weigold agreed. “We try very much to look at us. What are we? A free-TV station. And we try to celebrate free TV, installing more live moments where kids have to tune in and talk about the next day at school. It means creating live shows, well, semi-live shows: events where they have to know what happens in the end. And also events online, second-screen events and so on,” she said. The suggestion was that in 2017, ‘live’ is one advantage broadcasters still have over the SVOD giants when it comes to interacting with their audiences. However, the panel also agreed that it won’t be long before those online streaming services are exploring their own ways to have children interact with their shows, even if it’s not real-time. The session ended with the four panelists being recognised for their contribution to the industry with World Screen’s Trendsetter Awards.